Urban sociology is the study of social life and interactions in urban areas, using methods ranging from statistical analysis to ethnography. Georg Simmel is widely considered to be the father of urban sociology, as he pioneered studies of the interrelation of space and social interaction. Urban sociology attempts to account for the interrelation of subcultures in urban areas, as well as the internal structures of segments of society. Like biological systems, urban subgroups are dependent on one another for healthy functioning and are also dynamic—that is, they flourish and decline based on political, economic, and social tides. alienation: Emotional isolation or dissociation. subculture: A portion of a culture distinguished from the larger society around it by its customs or other features. Urban sociology is the sociological study of life and human interaction in metropolitan areas. It is a well-established subfield of sociology that seeks to study the structures, processes, changes and problems of urban areas and to subsequently provide input for planning and policymaking. In other words, it is the sociological study of cities and their role in the development of society. Like most areas of sociology, urban sociologists use statistical analysis, observation or ethnography, social theory, interviews, and other methods to study a range of topics, including migration, economic and demographic trends, as well as things like poverty, race relations, crime, sexuality, and many other phenomena that surface in dynamic cities. After the Industrial Revolution sociologists such as Max Weber and Georg Simmel began to focus on the accelerating process of urbanization and the effects it had on feelings of social alienation and anonymity. Notably, Georg Simmel is widely considered to be the father of urban sociology for his contributions to the field in in works such as The Metropolis and Mental Life, published in 1903. 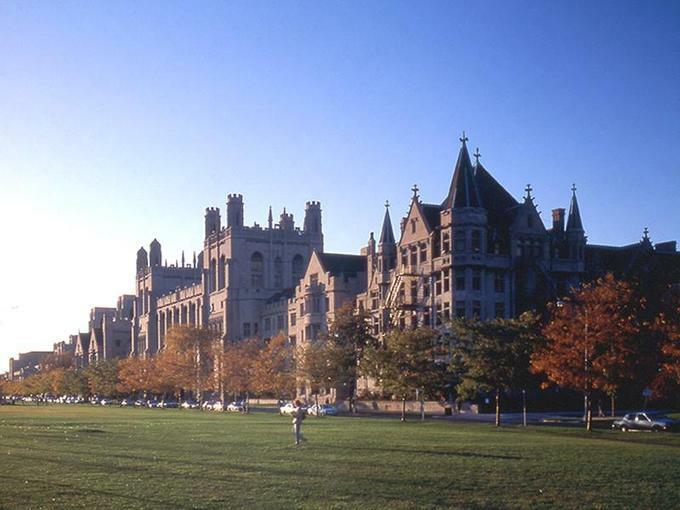 The Chicago School of Sociology: The Chicago School of Sociology, developed at the University of Chicago, is credited with developing modern urban sociology as researchers worked to elucidate patterns of urban life. The Chicago School of Sociology is widely credited with institutionalizing urban sociology as a disciplinary sub-field through pioneering studies of urban spaces and social interactions. This group of sociologists studied the built urban environment in Chicago through the early twentieth century and they have left a lasting impact on the field, as subsequent researchers adopted qualitative methods such as ethnography and land-use mapping to theorize urban phenomena. The Chicago School combined sociological and anthropological theories to understand the interrelation of urban structures and micro-interactions in cities. The Chicago School sought to provide subjective meaning to how humans interact under structural, cultural and social conditions. Scholars of the Chicago School originally focused around one integral question: How did an increase in urbanism during the time of the Industrial Revolution contribute to the magnification of then-contemporary social problems? Sociologists centered in Chicago due to its “tabula rasa” state (people’s minds before they receive impressions gained from experience), having expanded from a small town of 10,000 in 1860 to a urban metropolis of two million in the next half decade. Along with this expansion came many of the era’s emerging social problems, ranging from issues of homelessness and poor living conditions to the low-wage and long-hour work periods that many European immigrants faced upon arrival in the city. Furthermore, unlike many other metropolitan areas, Chicago did not expand outward at the edges as predicted by early expansionist theorists, but instead reformatted the space available in a concentric ring pattern. As with many modern cities the business district that occupied the city center was surrounded by slums and blighted neighborhoods, which were further surrounded by working class homes and the early forms of the modern suburbs. Urban theorists suggested that these spatially-defined regions helped to solidify and isolate class relations within the modern city, moving the middle class away from the urban core and into the privatized environment of the outer suburbs. Due to the high concentration of first-generation immigrant families in the inner city of Chicago during the early twentieth century, many prominent early studies in urban sociology focused around the effects of carrying culture roles and norms into new and developing environments. Political participation and the rise in inter-community organizations were also highly followed in this period, with many metropolitan areas adopting census techniques that allowed for information to be stored and easily accessible by participating institutions such as the University of Chicago. Sociologists Park, Burgess and McKenzie, professors at the University of Chicago and three of the earliest proponents of urban sociology, developed subcultural theories, which helped to explain the role of local institutions in the formation of ties. Subcultural theories popularized the idea that segments of society, such as gangs and homeless populations, had internal systems of value and order. This theory was in contrast to the prevailing belief that urbanization produced only social disorganization and alienation. Urban ecology refers to an idea that emerged out of the Chicago School that likens urban organization to biological organisms. Urban ecology has remained an influential theory in both urban sociology and urban anthropology over time. The theory is essentially an extended metaphor that helps to explain how conflicting subgroups exist in shared urban spaces and systems. Like biological systems, urban subgroups are dependent on one another for healthy functioning and are also dynamic—that is, they flourish and decline based on political, economic, and social tides. Relating this to functionalist theory, one can look at immigration and emigration trends. As people enter and leave a country, they are dependent upon one another, as well as the new culture, to assimilate and enter into a new society. Immigrants become emigrants and vice-versa; in this way, the chain of life continues in terms of societal relations.